There's a breed-specific rescue organization for nearly every breed of dog out there! If you want to get a puppy or a dog and you have your heart set on a specific breed of dog, please look for rescue organizations rather than hitting the local puppy store or buying a dog online. When you get a dog online, you know virtually nothing about the dog or the person behind the dog. You have no idea what you're getting into or what the real story is with respect to the dog's health or background. Puppy stores also have the reputation of getting many of their puppies from puppy mills, where the breeding dogs are kept in horrific conditions. If you don't want to support or encourage those efforts, you can still get the dog breed of your dreams from a breed specific rescue organization. Do a Google search of rescue organizations for the breed of dog you want and you'll no doubt find a bunch of listings. 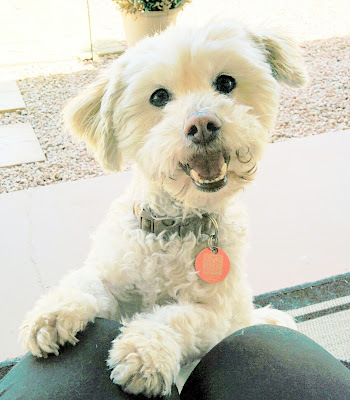 For example, I adopted Phoebe from the county shelter when I lived in Phoenix. She's a Havanese (a mix actually). Phoebe is such a sweet, smart little dog, typical for that breed. If I wanted to get another Havanese dog or puppy, I'd do a search on "Havanese Rescue Organizations in New York". That search turns up at least 8 listings of places I could adopt a Havanese dog from, here in New York. I could scour all the local animal shelters and adoption web sites waiting for that perfect Havanese to appear, but I may not be successful anytime soon. Although many purebred (and designer) dogs pass through shelters, it's hit or miss and they tend to get adopted quickly. As an Adoption Counselor at the shelter, I could always tell which dogs would go fast. Most of the purebreds and Anything-A-Poo type dogs were the first to get adopted. 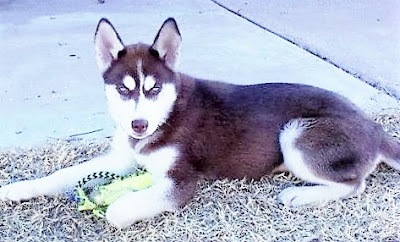 While I was volunteering at the Phoenix shelter, I kept searching for a Siberian Husky puppy to come into the shelter. I had everyone on alert in case one came through. At the time, I really wanted a puppy but of the very few Huskies that came through our shelter the youngest one was nearly a year old. I had just started volunteering and wasn't aware that there were specific rescue organizations out there, lots of them. Now I know better! One of the benefits of adopting a dog from a rescue is that unlike many animal shelters, most rescues have the resources and the time to really get to know the pets in their care. They can work with the dog on issues such as walking on leash, potty training, or behavioral issues like resource guarding or fearfulness. They're able to spend the time needed to prepare the dog for adoption and find the right person or family to facilitate a successful adoption. Shelters don't usually have that luxury, especially municipal shelters. If you think you might be ready for a puppy or a dog soon, start researching rescue organizations for the breed of dog you want now. It can take time to find that specific breed of dog ready to be adopted from a quality rescue. If you're willing and able to drive into a neighboring state to get your dream dog, expand your online search to include rescues in neighboring states as well. Locate a couple of rescues that may be able to supply you with the pup you want. If they have a Facebook page, start connecting with them! Let them get to know you. Don't be that stranger who emails and says "Hi, I want a French Bulldog puppy... can I come get one this weekend?". It won't go over very well. Rescues aren't like the county shelter, with totally open adoption policies. They're usually pretty careful about who they adopt their dogs out to. Expect them to ask you some questions - possibly lots of questions! They want to make sure the dog is going to the right home and that the owner and dog are a good fit. Be prepared before you reach out to a breed specific rescue organization. You want to demonstrate that you are knowledgeable about the breed of dog you want and that you understand the needs of the breed. For example, if you wanted a Husky they'll want to be sure you understand that a Husky is a very high energy dog that needs a ton of exercise and that they can be sly escape artists. 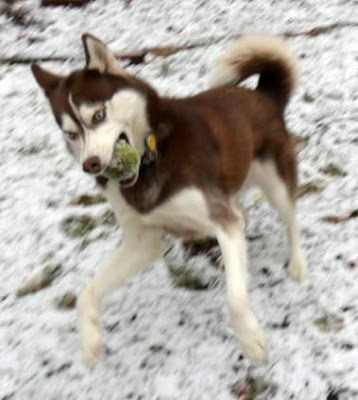 If you lead a sedentary lifestyle and have no fenced in yard, you might be rejected as a Husky adopter. Don't feel offended if the rescue organization asks questions about your home environment, your lifestyle, and whether or not you can afford Veterinary care. They're asking because they want to make a good match for the dog and for you, one that will last the dog's lifetime. When you initially connect with the rescue, try to find out what their adoption requirements are so you will be prepared. When we are ready to add another Husky to our family, I definitely want that Husky to be a rescue. I already know the rescue organization I want to work with and I'm connected with them on Facebook. I also have a secondary Husky rescue on the back burner if needed! I hope this will help you Adopt Don't Shop even if you have your heart set on a specific breed of dog or cat. Happy Tails!! A Puppy For Christmas? Wait, Not So Fast! Have you adopted a pet from a breed specific rescue, or do you plan to? Tell us about it in the comments, you know how much we love hearing from you! Cathy, excellent information! I, too, have a few rescues I connect with in the back of my mind! Great post! Sharing this over on Pinterest on my "Bark About" board! I'm so glad you liked it Dorothy, and thank you SO much for sharing it! This is such a great post! There are so many people out there who want a specific breed and likely never think to look for a breed-specific rescue. Great info here, thank you! I'm really glad you enjoyed the post, thanks! It's so true, many people do not know that there is a rescue for nearly every breed of dog out there. I didn't know either years ago until I started volunteering at the shelter. Amen!!! Adopt, Don't Shop whenever possible!! Absolutely! I hope everyone can try their hardest to find the pet of their dreams at a shelter or rescue, even if they've got their heart set on a specific breed. I honestly had no idea that there are breed specific rescue organizations! Thank you so much! Shared on Twitter. I'm so glad this helped shed some light on that for you! Many folks don't know about breed specific rescues, I didn't until I started volunteering at an animal shelter a few years ago. What a concept, huh!? When I speak to people who are looking to buy a specific breed of dog, I always tell them about breed specific rescue groups, and urge them to rescue. A lot of people are unaware they exist, so thanks for calling attention to it. That's so wonderful of you to help spread the word about breed specific rescues! It is amazing how many people still haven't heard about them. I was one of those peeps a few years ago. Wonderful post! I'm planning a post like this in the near future too! It's interesting when we were looking for our second dog my humans had their mind set on t a Golden, but after doing so looking and rescuer we end up with River, a Black Mouth Cur. Which is a breed we have never heard about before! She has been a wonderful addition and couldn't imagine our lives without her. Thank you so much, I'm really glad you enjoyed the post! I had never heard of River's breed either, SO unusual, right? She is super adorable though, I'm really glad she's part of your family now. Breed-specific dog rescues rock - and we should look at them more often for adoption! One of our close friends runs a very nice Shih Tzu dog rescue and we've adopted 2 doggies from her - we love that she works with seniors to take in their pups if they go to a nursing home etc., where they can't take their pups. It provides them with a piece of mind. OMD, they TOTALLY rock! There are so many advantages to working with a rescue organization. They can usually provide much more than most shelters, especially municipal shelters. Your friend sounds awesome! Bless her for the wonderful work she does. Have you done a blog post about her rescue? The best breed is always rescued, regardless of the specific breed of cat or dog. Yes, rescued is definitely the way to go if at all possible! I love that breed specific rescues can help people find the dog of their dreams when they have their heart set on a specific breed. Thank you Rachele, I'm so glad you liked it! That photo of Phoebe is adorable! I follow a number of Basset rescues and hope to work with one soon. Isn't she just the cutest? She is such a great poser, she knows what it takes to get a delicious TREAT! I'm so glad you have Basset rescues lined up, I do wait for the day you'll be adding another Basset to your pack....! I don't have an issue with breeders, although I do love to see people exhausting all avenues to find a rescue or shelter that has the breed of dog they've got their heart set on. It's ok to want a certain breed, but acquiring as responsibly as possible is the only way to go about it. It's important to let people know about breed specific rescues, not everyone knows about them, I didn't until a few years ago. Anything-a-poo! That made me laugh. When we were ready to adopt after our first dog passed, we talked to some breed rescue groups and visited shelters. Ruby was part of a foster-based rescue (not breed specific). She had been in her foster home for awhile and so they knew her very well, which was so helpful for us! I know right!? It's a perfect name for those cute little fluffy dogs, LOL! It is super helpful to adopt a dog that's been fostered or is otherwise with a rescue, they get to know the dogs in their care so well. You can get a lot of peace of mind when you can speak to a foster parent or someone who has spent a lot of time with the dog. Thanks, I'm glad you found the post valuable! Rescues definitely do rock, I agree. It's amazing how many purebreds can come through a shelter, many do go to breed specific rescues which is great because they have a lot of knowledge about the breed. They also know how to work with them. Great post Cathy. I will say..we have only adopted from a Rescue once...for our cat. It was very easy because the owner of the rescue knows me and that I work at an animal hospital, etc. We do have a senior dog that we adopted from the shelter. I feel like sometimes the rescues make it almost impossible for people to adopt a pet though. They say they're not for profit. But the adoption fees with some rescues are crazy! Some wont adopt to you if you have kids, if you dont have a backyard, etc. I know they are trying to do what's best for the pets but...The Jack Russell Rescue in AZ denied my mom a puppy when we were kids (I was 10 and my brother was 5) because they said they were a breed that was not good with kids. And here I am with 3 of them and they have been nothing but fabulous around my 2 kids since the day they were born. Rescue is great! Love what they do! But...there are some out there that need to be monitored! You are so right about rescues, many of them can be way too strict. I think that is a flaw some of them have and many are recognizing that a home doesn't need to be flawless to be the right loving home for one of their dogs. My advice is to find out what their stringent requirements are, try to meet as many as you can, and be prepared to speak to why you're the right person or family for the dog (or cat). That's so funny you have 3 JRT's, I think they are fine with kids too as long as the kids know how to respect and behave with a dog, any dog! That should be standard anyway. Thanks for sharing your story & experience! Simply loved your post because i am pro adoption in India here more rescue organizations dont have those kind of funds or infrastructure. So we dont have specific breed rescues. Thank you, I'm glad you liked the post. It's interesting that you don't have rescues over in India. It does take a lot of work and funds to run a rescue. Thank you for posting this. It's so important for people not to support puppy or kitten mills and rescue a pet. Thanks, I'm glad you enjoyed the post. It is very important never to support mills, they are the most awful things. I had no idea until I started volunteering at an animal shelter, I learned so much there. I think so many people buy a dog because they have their heart set on a breed and can't find it in a shelter. Thanks for helping more dogs find their forever homes! Absolutely! That's exactly why people who desperately want a certain breed of dog end up buying them online or at a puppy store. We all need to share about breed specific rescues, especially this time of year - Christmas is always a huge puppy buying time! Hooray for you Kimberly! That is so awesome, you ROCK! Great article. Yes, if you know the breed you are interested in, contact a few of the breed rescue groups. They know so much about their breed's behavior, health, care etc. they are such a valuable tool. Yes, rescues are a wealth of information. It's so important to start looking for rescues early, as it can take some time to find the right pet. I'm so glad you liked my post thank you Tonya! Excellent information! I couldn't agree with you more. Getting a pet from a rescue is the best way to go. All of my kitties have been rescues. :) Doing research and knowing your options ahead of time is important too. Pets are living things that can have a lot of variance from individual to individual. Research and taking the time to learn about the type of pet you're looking for and about the rescues that may have them. A good rescue is such a valuable resource. One of the ways I would adopt a pedigree is via a breed specific rescue. I hold out hope of a Siamese!! It is really a great way to go, there are so many breed specific rescues. Sometimes you have to travel a bit to get what you want but it's so worth it. I'm sure there are a lot of Siamese cat rescues, you just have to be patient - I hope you find one soon! We're part of a private FB group that shares rescue information about Persian cats. Oh that is so fantastic! Social media definitely helps so much to spread the word about breed specific rescues. This is a helpful reminder that amazing dogs are available through a multitude of resources. I recommend folks submit an application with the rescue organization that they identify as a potential source for adoption BEFORE the dog they want is available so they can go through the process of phone interviewing and home inspection and be ready to take a dog into their home once "the one" is available. Sometimes the process takes too long and the dog a person wanted gets adopted out in the meantime (it happened to us multiple times). Yes, so many fantastic dogs & cats are available via several avenues. It is important to start the search early, great points about the time you need to get established with a rescue and start looking. YES! People are always shocked when I say there are so many Great Pyrenees in rescue. You can find almost any breed in rescue. I'm often surprised at how many "obscure" breeds I find on rescue sites. Oh wow, I didn't realize there were so many Pyrs in rescues as well! It's so true, you can find almost any breed in rescues if you take the time to look. They're out there! This is such good information as I don't think a lot of people know about breed specific rescues -- we have an Oregon Doxie Rescue here. There are so many breed rescues across our state. I get this question a lot from people looking for rescue Beagles and Doxies for sure. I'll be sharing this so we can create some awareness for folks! I'm so glad you think it's valuable information, thanks Christine! You're so right, many people don't know about breed specific rescues. Thanks for sharing, we need this awareness so much, especially now that the holidays are upon us! I've looked at Yorkie breed rescues before. I think getting a puppy from breed rescue can be quite hard though as everyone wants them and the rescues have tons of apps! That is true, for some very popular breeds it can take a bit of time to find an available dog and so many people are waiting. You have to start early and locate rescues before you're ready & learn their requirements. Yorkie's are hugely popular, and I fear many will be purchased as gifts for the holidays. Thanks for writing about some of the options to adopt a purebred dog. It is very hard to find small "Anything-a-poo" dogs in shelters. They are adopted so quick. It is even harder to find a puppy. While their are some amazing dog breeders out there, breed specific rescues are a great way to search for a purebred dog to add to the family. Adopt-don't-shop! I'm glad you like the post, thanks. There are certain dogs in a shelter that go lightening fast, I can always tell which ones right away. Spring through Summer is puppy & kitten season at shelters to that's the best time to get a puppy in a shelter. Breed specific rescues are a great resource, but you have to start looking early it can take some time. A post that is near and dear to my heart! I am so tired of hearing "I cannot find the breed I want in a shelter or rescue" -- I have been doing this a long time and know that they are out there - people are either just too lazy to look - or using it as an excuse to justify getting a new puppy......great tips here though and will share! Thanks Jill, I'm glad you like the post! It's near & dear to my heart too, I hate when people feel compelled to run to a puppy store or buy a pup online. Thanks for reminding people that there are LOTS of rescues out there and many of them breed-specific. It's such a shame when a purebred dog languishes in a rescue because the people looking for a dog just like him don't even know about him! Ideally, every dog in a rescue will find his perfect family and you' post can get us one step closer to that goal. I have managed to adopt dogs before they went into rescue...usually from a client that was making a transition. I am amazed at how well these reputable rescues work with the animals before rehoming them. The transporters really go the extra mile spending their free time and gas money for pickups and drop offs. I transported Eskies for rescue and am amazed at how far these pets are transported before they find a new home. I respect the responsible rescue organizations that work so hard and rely on our donations. Great post! I had heard of this in the past that people can rescue specific breeds from shelters. I just never knew how to go about it. This post will help me for the future. And you are right about not taking offense when adoption organizations ask tons of questions. Most organizations try to make a real effort to ensure pets are going to loving ,safe forever homes. Sometimes all the efforts don't work out and people still abuse, neglect or surrender their pets. So sad. Great that you adopt and don't shop. Two paws up! Thank you for writing about this! This is something I tell my clients when they want a specific breed and I try to support breed-specific animal rescues rather than breeders. Sorry, not sorry. I'm still trying to convince my husband to rescue a German Shepherd Dog. Love how you are rooting for rescues. So many rescues have purebreds, its a shame when people just buy them from breeders! Thank you for spreading awareness for this and for rescue! I can't tell you how many times people tell me, "I can't adopt, I want a specific breed!" You can do BOTH!! - Shelby G.
Sadly, it seems that we don't have any rescue specializing in Rotties anywhere within reasonable distance from us. And then, when I reached out further, I was basically turned down to even talk about it because "I lived too far."